This is a Sponsored post written by me on behalf of dio. All opinions are 100% mine. Ah, Summer is just a few short months away. We are just starting to plan the When, Where and What to bring. I enlisted the help of dio. dio is a new creative and social experience that lets you visually make and explore anything. You create your "space" and then add rooms and objects to that space. 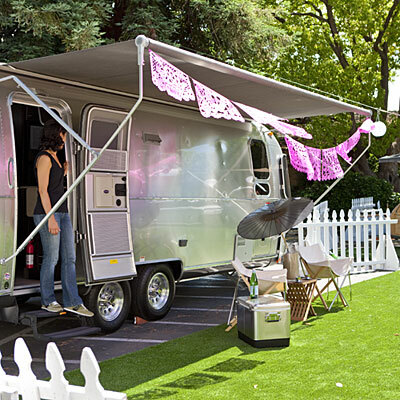 In our Summer Camping Space, our rooms are the places we would like to go and I have added fun objects and practical tips that will add to the "Camping Experience". 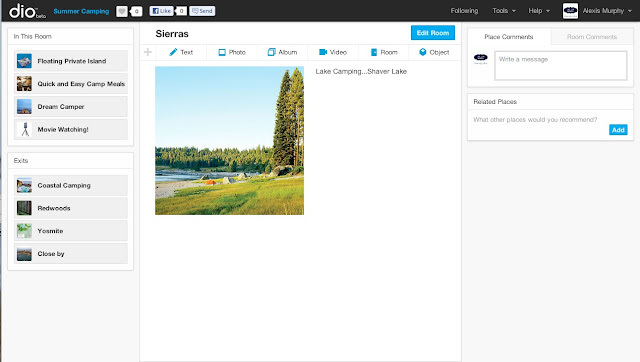 dio spaces can be filled with pictures, videos, text and interactive objects. I have just started to play around with it all and I can't wait to get the rest of the family's input on what to add. Once the trip is over, I can make a new space with our actual pictures to share with family and friends. Kind of our own virtual slide show. 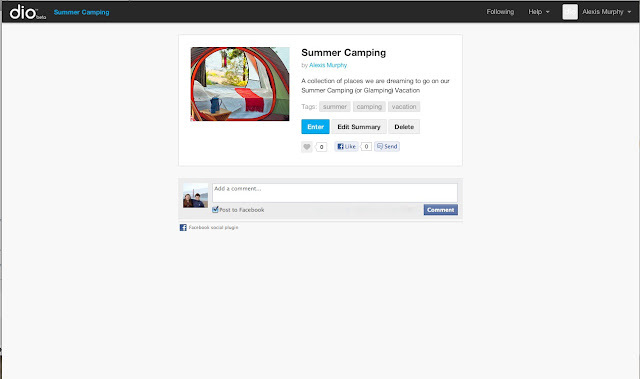 Since dio is interactive, you can hang out with others who share your interests and explore what people have created. I am signed in under Alexis Murphy so feel free to follow me. Dio is giving away a $100 Amazon Giftcard to a lucky active dio user, you just need to join (for free) and leave a comment with the email address you used to sign up. For another entry, tweet a message about the place you create and include @dio places with a #discoverdio hashtag. Check Contest Rules for more specifics. You can also Like dio on Facebook for inspiration. Ok, I've got to know...what will you use dio for? Thanks for the great giveaway! Signed up with my google email. Thanks! I did it! I created a "welcome to my home" space so I could show off where we just moved! Thanks for the giveaway chance! I signed up with tanya(at)tanyasmith.net. I'll use it to organize my family photos. Neat idea! I signed up and created a place using aeris32 at comcast dot net.